Tax payment receipt – As a cost savings measure and effective with this winter tax bill, you will no longer automatically receive a payment receipt. If verification of the payment or posting is necessary, refer to the Leelanau county web page as follows; Leelanaucc → On line Services → Property Search → enter Parcel Number, name, or address → Search. 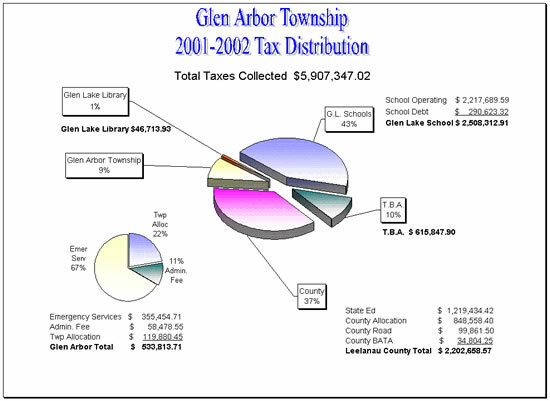 Scroll down on tax profile to “Current Information” to locate taxes owed or balances due. Allow mailing time plus 48 hours for payment to process and post to county tax profile. Paid Receipt – If you require a validated receipt please enclose a self-addressed stamped business size envelope with your payment. Your parcel ID Number must be written in the lower left hand corner of the envelope. BS&A Internet Services Link – most current sales, assessment & tax payment information. Create an account to access the Sale Search from the Internet Services Menu. The sale search summary results are free.